To non-Floridians, the idea of living so close to alligators can sound exciting, scary or just plain wild. The novelty of it can bring unique challenges, too. But much like the endless summer weather, living with alligators is just part of life in Florida. From marshes to rivers and swamps to lakes, alligators have resided throughout Florida for centuries. Spanish settlers & explorers in the 1600’s referred to them as el legarto (“the lizard”), and alligator became the English form of it. Alligators can be found in all 67 counties in Florida. They’re solitary in nature, and tend to shy away from human contact. But as human populations grow steadily, the potential for interactions often occur. Alligators have been found in neighborhood lakes, backyards, garages, even swimming pools! 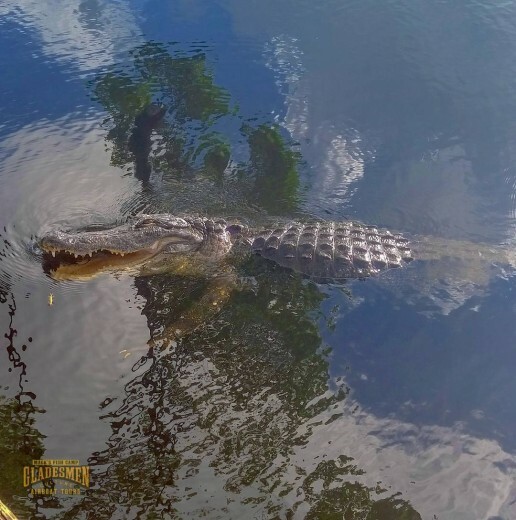 Should you encounter a gator that you believe could pose a nuisance to yourself, your pets, or property, you can call the Nusiance Alligator Hotline at 866-FWC-GATOR (866-392-4286). Alligators under four feet long generally aren’t considered to be a nuisance unless the caller believes it could be a threat. And also keep in mind that, nuisance alligators are killed, not relocated. 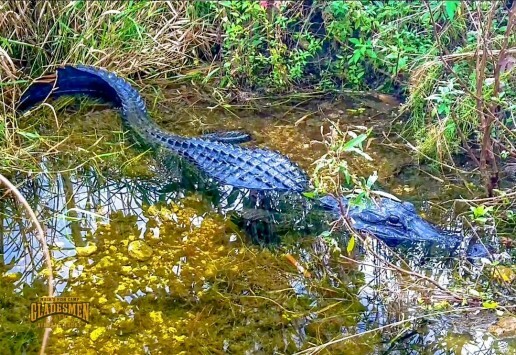 Whether you’re a local living with alligators, or just looking to visit the Sunshine State, here’s some tips to be mindful of regarding gators. When camping or fishing, dispose of scraps in trash cans. Don’t discard them in the water, because you may be unintentionally feeding alligators. Never feed alligators. Doing so can make the associate people with food and become aggressive. Don’t swim outside of designated swimming areas or in waters that might be inhabited by alligators. If you’re bitten by an alligator, seek medical attention immediately. Serious infections can result if left untreated. And don’t bother alligators. Not only is harassing gators illegal, it can result in injury. Alligators are a cherished member of not just the Everglades ecosystem, but the state of Florida as a whole. Living with alligators, they seem to pop almost anywhere in the state. But the best place to see them up close is in their natural habitat. Taking an Everglades airboat tour at Mack’s Fish Camp is a fun, safe way to learn about them and the role they place in the environment.